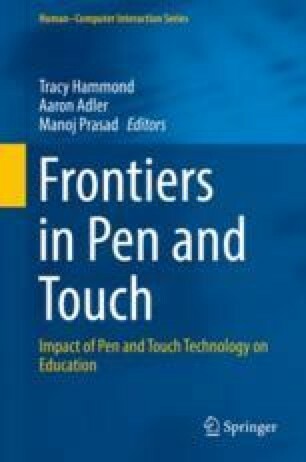 At the 2016 CPTTE Conference on Pen and Touch Technology on Education, five expert researchers and educators spoke at a panel in front of the audience of CPTTE attendees where they discussed past influences and future directions. The members of the panel were Eric Hamilton, Rob Baker, Jonathan Grudin, Mark Payton, and Cal Armstrong. The discussion also included comments and questions from Ken Forbus (2017 CPTTE conference chair) and Andy van Dam (2016 CPTTE conference chair). Topics included the practice, the difficulties, and the added value of what leads to success in device-per-student deployments in K-12 educational settings. A philosophical discussion emerged including arguments for and against domain-specific and domain-independent solutions, as well as future directions to better preparing students for success. The speakers especially thank Dr. Anna Stepanova, Dr. Tracy Hammond, Dr. Jan Hammond, and Mark Payton for their help in this transcription as well as Lisa Manokofsky for her help in providing the videos for translation.